A young seminary professor, Augustine Knox, is drawn into a deadly race to save priceless parchments from antiquities thieves and discovers a 2000-year-old connection with another who faced death for the sake of the truth. 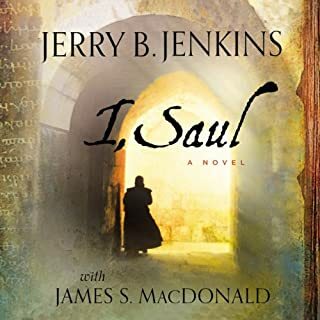 I, Saul consists of two riveting adventures in one, transporting you between the stories of Augustine Knox and Saul of Tarsus. Filled with political intrigue, romance, and rich historical detail, I, Saul is a thrilling tale of loyal friendships tested by life-or-death quests, set two millennia apart, told by a master storyteller. Wow! Truly wonderful combination of Scripture and imagination. Two stories intertwined into this epic. A great read that captivates you and keeps you listening, especially at the end of each chapter. Alternating story lines keep it fresh. 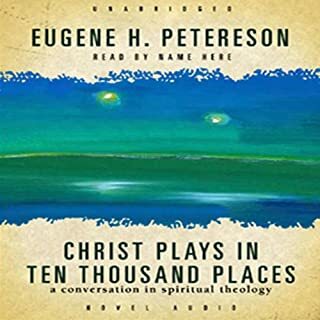 Christ Plays in Ten Thousand Places reunites spirituality and theology in a cultural context where these two vital facets of Christian faith have been rent asunder. Lamenting the vacuous, often pagan nature of contemporary American spirituality, Eugene Peterson here firmly grounds spirituality once more in Trinitarian theology and offers a clear, practical statement of what it means to actually live out the Christian life. With this book being written by Eugene Peterson I thought it would be an easy read/listen, as he is the writer of The Message translation of The Bible, which is easy to read. But as he explains in the appendix, easy reads are not necessarily the best way to get depth in spiritual theology. While a lot of what he said went right over my head, I hope that I picked up many nuggets and stored them in the pockets of my head and heart that I may be beneficial in the furthering of Christ's Kingdom.